Take a good look at the car above. This is what happens to normal, ordinary cars after they get tracked & their drivers catch something that they cannot shake… An insatiable desire to push the envelope of their cars and themselves. 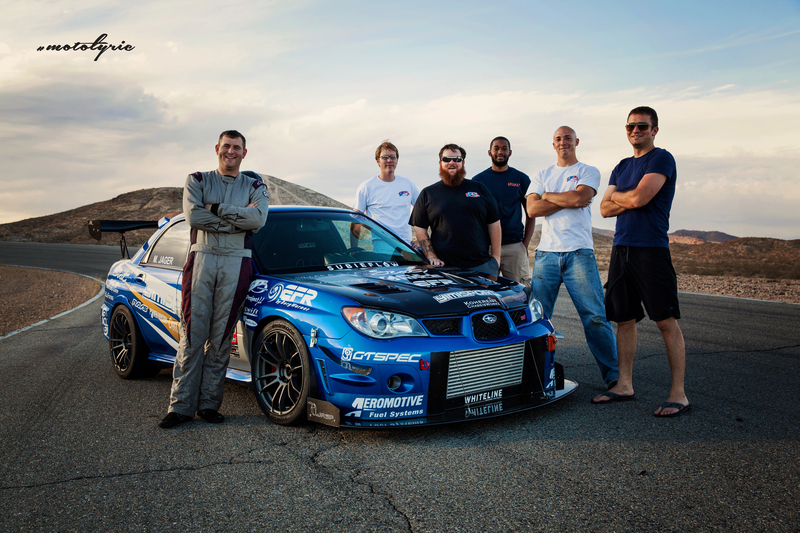 My name is Mark Jager, driver and owner of the pictured ’06 STI. I’ve always been passionate about cars. I’m hoping this site will be a way to share a bit of that passion with you. To start, here’s some of the history of my car passion and its progression. As a teenager, the threat of not being able to get my driver’s license was the only thing keeping my high school GPA from not plummeting. 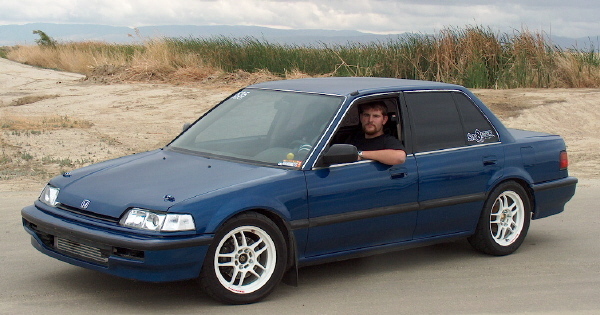 Once my license was obtained, I was constantly devising ways to push the envelope of my 91 Honda, shown here. 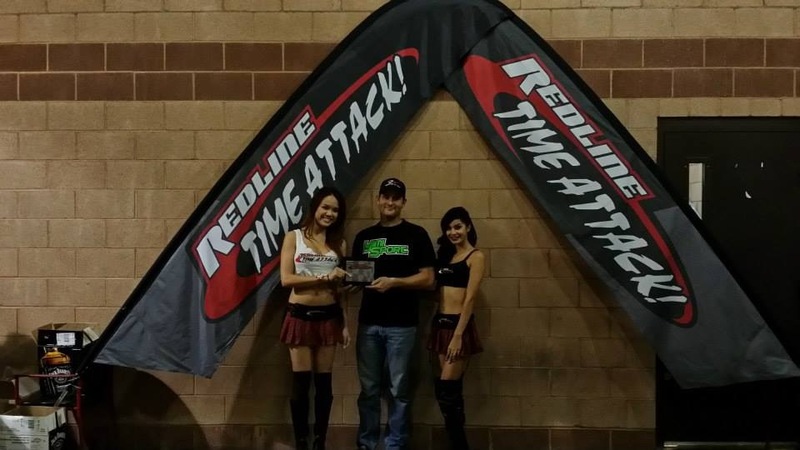 At this point, there was no tracking, only drag racing at LACR. 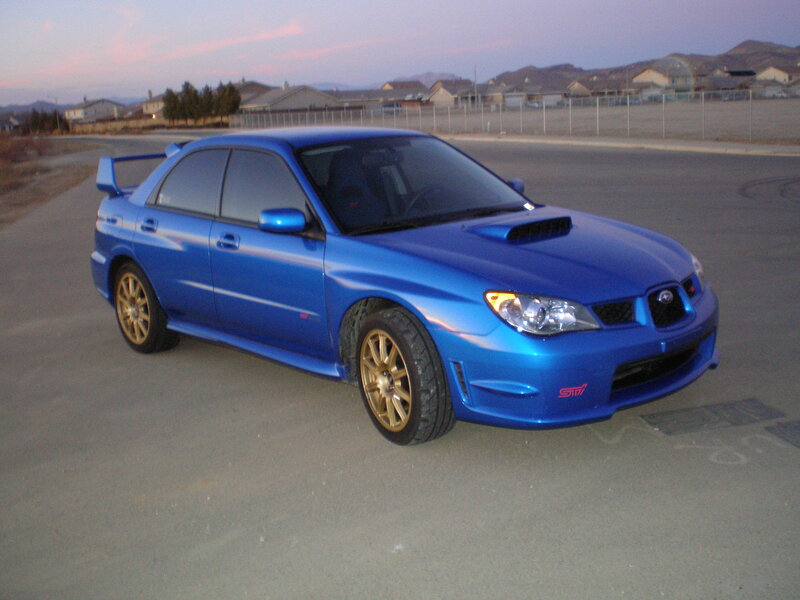 After high school, I bought my STI. Again, I stuck mostly to LACR and only had made minor modifications to my car. Here she is in her simpler days. I had yet to do anything further than the drag strip, but then, my wife (then fiancé) surprised me with a day at a driving school. I was hooked on tracking after a half day experience. I had just tracked with the cars (Celicas) at the racing school, and was eagerly awaiting taking my car to the track. The rest, as they say, is history. The last two years have been a rapid progression from going out as an enthusiast to now going in as a highly recognized competitor, constantly improving and seeking opportunities to further my racing career. Stay tuned to my blog to see how the upcoming seasons unfold, learn about products Jager Racing uses, and read about other competitors and drivers in the Driver’s Seat section.